Ukraine’s Crisis: Why did Yanuk Reneg? Ukrainian president Viktor Yanukovich probably expected some anger when he decided to reneg on his word to sign an Association Agreement with the European Union, but there is no way he expected the reaction that he got. Or maybe he did, having already been on the receiving end of it nearly a decade ago during the Orange Revolution. Regardless, you know you’re dealing with a seriously pissed off people when they come out to public squares – and stay there – in late November and early December in a place like Kiev, which isn’t exactly famous for its mild winters. Part of the reason for the anger is that President Yanukovich had promised to sign the EU AA before he didn’t. Reneging on a deal like that isn’t the sort of decision that’s made lightly. It increasingly looks like Yanukovich changed his mind because his Russian krysha made him an offer his country couldn’t afford to refuse. Ukraine’s economy is in a sorry state, having been brutally battered during the Great Financial Crisis, and the government is danger close to running out of hard currency (something the EU is not in a position to offer) – thus staring at the abyss of devaluation. Ukraine also needs Russian gas, preferably at a discount rate – leverage Russia has shown no qualms towards using in the past — and Russia is also Ukraine’s top trading partner, accounting for just under a quarter of its exports and a fifth of its imports. In short, Ukraine is simply too dependent on Russia economically to break free of its orbit. Given the importance of Ukraine to the success of his customs union, it’s hardly surprising that Putin decided to play some of the stiffest economic hardball despite Yanukovich being generally pro-Moscow. Without Ukraine, it’s a joke devoid of countries that matter other than Russia — Belarus brings nothing to the table, Kazakhstan has plenty of gas but no people, and Armenia is Armenia. Beyond the geopolitical implications of Ukraine falling out of Russia’s orbit, Putin simply has too much money on the line. Aside from the near-certain economic disaster that would have unfolded has Yanukovich tried to call Putin’s bluff, he would have also committed political suicide. His Party of Regions (Partyia Regionov) draws its power from pro-Russian provinces in the eastern and southern parts of the country (and is probably covertly supported by the Kremlin). There is no way he could survive politically if he lost the support of his base given the level of polarization in the country. 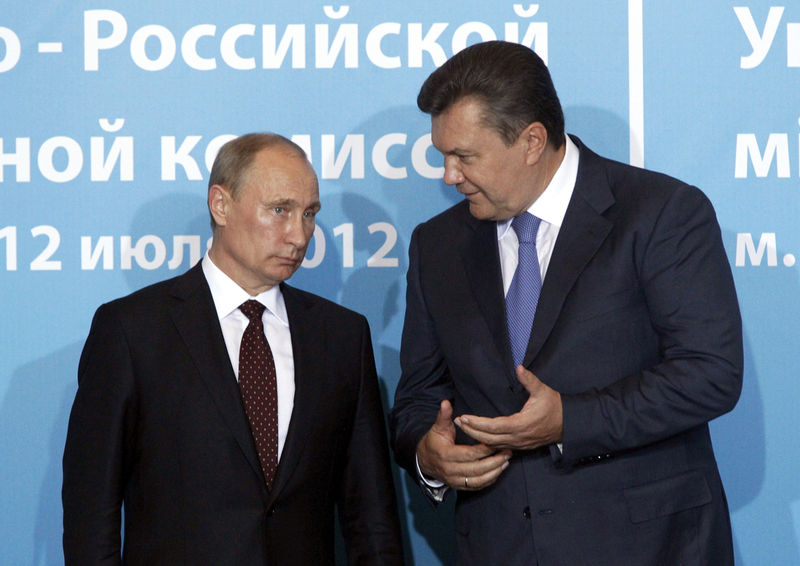 Given these two realities, it’s easy to see how Yanukovich’s hands were tied. From a politician’s point of view, he made the only choice he could.